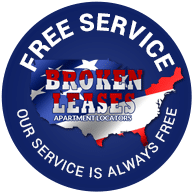 BrokenLease.com provides helpful links to the individual offices for the Attorney Generals of each state’s metropolitan area we serve. The Attorney General websites are the most trusted places to visit for helpful information and resources for renters. This would include renters who have a broken lease in their history, delinquent payment history, an eviction or foreclosure showing on their credit reports. It can be quite discouraging for those looking to rent a decent place to leave and be haunted with something showing up on their credit reports that is unfavorable. Whether you have encountered an issue with a landlord in the past or just want to be on top of useful information and resources available to renters, one of the most trusted resources for renters is their individual state’s Attorney General’s websites. It is one of the most trusted places to visit online if you have encountered a problem in the past, during the present or may possibly encounter in the future with a landlord or rental management company. The Attorney General’s website provides helpful information for those who are renting and will give valuable resources to them. Plus, the websites may even provide information about how to handle a situation if you feel your rights may have been violated by a landlord or rental management company. When renting a place to live with a landlord or rental management company and if you are required to sign a lease or rental agreement, it is strongly advisable you thoroughly read over it completely before signing. At the time of the lease signing, it is the day you receive the keys to the apartment and probably have your moving truck full of your belongings waiting outside for you. Of course, you want to hurry up and just sign off on all of the paperwork because there are probably several pages you have to sign. Well, it is recommended that you go into the lease signing prepared and read over everything. You want to make sure you understand all of the lease terms and conditions and ask questions. This way, if you are not comfortable with something stated in the agreement, you may be able to have the management or landlord clarify and possibly make a change in the agreement, if they allow it. For those who are in the military, have a career that may have a job transfer out of the area, individuals on fixed income, individuals with low income or really anyone else, it is a good idea to make sure you clearly understand everything on the lease. There may be a time where the lease may need to be broken because of a job transfer, military deployment, medical issue or something else. You would want to make sure the lease clearly states what would be required of you if you need to get out of your lease. Various information can be found on the Attorney General website which may include; Fair Housing information, Landlord and Tenant Law, discrimination, laws pertaining to renters and much more! If you are looking to rent a place or are currently renting a place now, it is a great idea to visit your state’s Attorney General’s website. For the best resources when it comes to laws and information for renters, the Attorney General website is the best resource. On the Attorney General website, you will be able to read about your rights as a renter or landlord. Searching for topics is made simple. If you have a rental debt or broken lease, you can just type in the search box the particular issue along with the city you reside or wish to reside in. If you had or are going through an eviction, you can type in your issue into the search bar along with the city you wish to live in. You will get several results and a lot of helpful information. The Attorney General websites provides great information regarding broken leases, evictions and lots of information about tenants’ rights.